Sometimes the things we think should be easy become taxing, and sometimes the hardest things are…well…still hard. But not at LFGdating. We build our site to be as user friendly as possible. So with our redesign fully complete, we want to offer a quick step-by-step guide on how to edit your profile. Once you’ve logged in and are either at your matches or profile page, you’ll notice a menu at the top of the screen. If you hover your arrow over the Member’s Menu on the top right, a drop down box will appear. Next, all you need to do is hover your arrow over the Edit My option. Another drop down box to the right will appear. Voila! If you choose #1, you will be able to edit your profile and add to all the awesomeness it contains. If you choose #2, you may add/delete pictures. 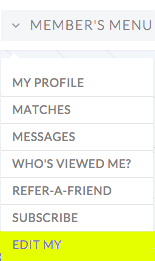 I also want to say that we’re the only dating site (emphasis on only) that offers both a cover and a profile picture. If you choose #3, you get to change the attributes for the person you are looking for. Your answers affect who shows up, so play around in there a bit! If you choose #4, well, we’ll definitely be sad to see you go, but we’ll understand. You’ll probably even get a thank you email for stopping by and creating a profile in the first place. And once you subscribe, should you choose to cancel your premium membership, you can select #5. Hopefully it’s because you met someone though! Oh, and one last thing. You’re a great person. The person you will spend your life with will know you’re a great person. 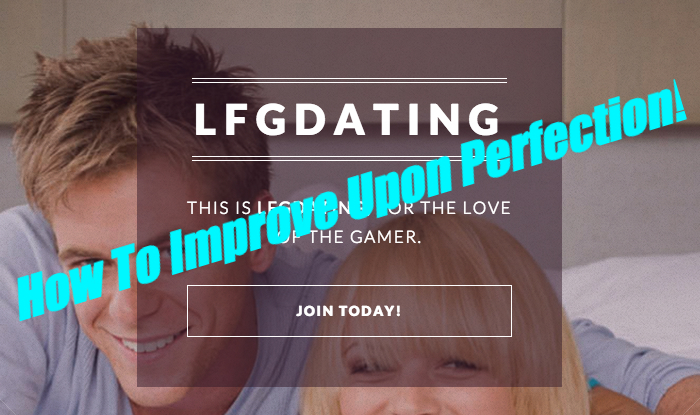 So if you want some extra help creating your profile to help meet this person, or you don’t know exactly what to put in the Say Something page, let me know at casey.tebo@lfgdating.com. I’m always here to help!